Also, I wanted to post the REAL The Lorax movie from 1972. It’s a critique of corporations and their environmental abuses + an indictment of “us” as over-consumers of the t(hings we don’t)need. Of course, I also must include the Dr. Seuss poster that made the rounds a few months ago (I think it first appeared on George Takei’s Facebook page). The predominate understanding of troublemaking is that it is bad, improper, and/or counterproductive, performed by those individuals or groups who are “up to no good.” But, what if we twisted our understanding of troublemaking and thought about it as useful and productive? Instead of dismissing it as that which hinders or disrupts our actions, what would happen if we embraced troublemaking as that which is essential for mobilizing us to action, enabling us to shake our cynicism and ever-increasing hopelessness? Going even further, what if we thought about troublemaking as an important ethico-political virtue for feminism and its role as a democratic movement? Now, thinking about troublemaking as important for feminism is nothing new; indeed, feminism as a radical social movement has been based on the practice of making trouble for the status quo and those oppressive institutions that deny or strip individuals/groups of their humanity. Feminists have embraced their role as “unruly” subjects and rebellious outlaws. So, while there is clearly a precedent for emphasizing troublemaking within feminism, not enough critical and systematic attention has been given to troublemaking—how it should be performed and what ethico-political value it has for feminist individuals. Moreover, troublemaking is still seen as improper; when feminists make trouble, they dare to be bad (borrowing from Alice Echols). They are being rebellious, rejecting traditional norms and ethics. But, what if we rethink troublemaking? What if, when feminists make trouble, they dare to be good (borrowing from Ann Ferguson and Bar Ami)? What if troublemaking allows them to create new ethical norms or at least expand upon the old ones? Troublemaking is a practice that many of us (inside and outside of feminism) have always already done but have been discouraged from doing; thinking about troublemaking as an important virtue enables us to claim and value it. Now, I am particularly (but not exclusively) thinking about this in terms of girls and women. As many feminists have argued, women (in a number of different ways) have been labeled trouble: we are a mystery, we are too much, we talk, think, and emote too much. And, if we dare to challenge or to question we are dismissed, discouraged, belittled as trouble (Butler discusses this very briefly in the preface to GT). The label troublemaker is used to silence us and, from an early age, we are taught that if we want to grow up to be proper women—women who are not spinsters, women who are successful, women who are beautiful—we need to learn not to do it. In the spirit of inhabiting, twisting and proudly claiming categories that have been used against us, I want to claim troublemaking as a valuable and virtuous practice. I want to promote it as something that we should do. In more personal terms, I want to claim it for myself and for my daughter—she is 15 months old and is always already making lots of trouble in the most virtuous sense of the word—I want to claim it for her so that her questioning and passionate spirit will always remain and so that it will be granted dignity and respect. This passage above offers some of my earliest articulations of why troublemaking is ethically valuable. Finally, three years later, I actually feel able to push past my preliminary interest. I don’t think I will include this second part in my essay, but I wanted to archive it, so it wasn’t accidentally lost (it almost was; I had to dig for a while to find it). Daring to be bad: Rejecting rules, being improper, challenging the system, disruption, destruction, deconstruction. I should mention that Daring to be Bad is the title of Alice Echols’ book about radical feminism in America. While there are many sources from which to draw upon this idea of being bad as counter to ethics and as rejecting ethics/morality (so many that it is difficult to find/remember just one), I want to highlight one articulation of it by Marilyn Frye. In her essay, “A Response to Lesbian Ethics: Why Ethics?” she argues that ethics, which is primarily concerned with “our need to know what to do and our having confidence that we have acted rightly” (Feminist Ethics 53), is something that we need to grow out of. Our desire to be good stems from a need to be accepted and acceptable–to be privileged and have status as a dutiful daughter. …it seems that it would behoove women who claim to abhor race and class privilege to give up the habit of pursuing them by being and trying to be good. The discovery that one is not good, or doesn’t know how to be good, might be welcomed as releasing one from the game of good and evil and thus from the will-bindings that keep us bonded to our oppressors (Frye 58). I am struck by Frye’s rejection of knowing what’s good (she argues that certainty is not always possible and that we can’t wait for it to act) and feeling good (we sometimes do the wrong thing, even with good intentions; the need to feel good about ourselves leads us to seek acceptance by those who are unjust and oppress us). In my two entries on the kids’ books, Horton Hears a Who and We Care, I address these two issues. My discussion of Horton is very much about the value of uncertainty, or of troubling rigid, fixed notions of what is certain. And my discussion of We Care touches upon the problematic importance that is placed on caring = feeling good about yourself and how you have cared for others. What would an ethics that rejected feeling certain and feeling good look like? I think that my readings of both of these children’s stories (Horton as movie, We Care as book) enables me to think about the value of troublemaking/staying in terms of ethics and to envision a different understanding of care that is not about being careful and certain, but attentive and open to other ways of being and knowing. And that prioritizes feeling passionate about fighting against injustice over feeling good about oneself and the care that has been given. There is something else that keeps nagging me about the Horton essay and its connection to an ethics of care: the mother figure (ha ha). In Horton, the mother figure, Sour Kangaroo, is the classic smothering mother who tries to stop Horton from caring effectively for the Whos on the speck. For critics of care ethics, the mother is a problem–caring for others frequently gets figured only in terms of the nurturing mother which reinforces the ways women have always already been limited to their supposedly “natural” roles as caregivers. And, it seems to prioritize women’s motherly nurturing over other potential visions of care. Is there a way to connect these (Horton’s rejection of the smothering mother with critics of feminist care ethics rejection of the nurturing/caring mother)? What would it look like to have a Care ethics without the MOTHER? Or, maybe with a different sort of mother/mothering? 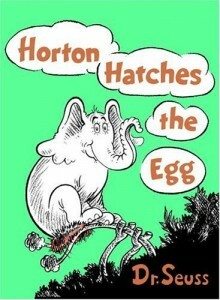 More time is needed in order to think this through… I had a brief brainstorm about Horton as a different sort of mother…a queer mother (he did hatch an egg after all…). The most important way that I am using this site is as a WRITING TOOL. I have been thinking and teaching about troublemaking for several years now and I thought that it was about time that I started actually writing about it (okay, I have written about it a little). I have talked for a long time (over a decade, sometimes) about certain ideas/theories/topics that would make a great article or book chapter. Life (kids, moves, PhDs, illness) got in the way and, for that matter, is still getting in the way. So, I thought trying out blog writing might help to get me writing again, especially with the limited amount of time I have (did I mention I have two very young kids?). It has worked. I write a lot now. And on this blog I have stockpiled a large number of ideas, many of which are just waiting to be converted into articles (and maybe books?). So far, I have resisted this process. Academic writing tends to be boring and painful. And it takes time away from the writing that I enjoy; the writing that moves my spirit and that inspires me. But, I believe that I need to change my assessment of formal writing. This summer I need to take my ideas and do something more with them. I need (and not just for my cv) to write some articles and get them published. And I want to use the blog to help me do this by documenting my writing process (what I’m working on, what I’m stuck on, etc) and by posting parts-in-progress for review by others. I also want to use what I have already written, my archive of mini-essays on troublemaking and troublestaying, as the foundation for my manuscripts. In particular, I want to combine several entries, with similar or complementary themes, to create an academic publication-worthy essay. I have decided to call these essays blog mash-ups. I will write and submit as many of these mash-ups as I possibly can this summer. what does it mean to care? In this entry, I critically assess how care is understood and articulated in a children’s book, “We Care, ” that is about a third grade class’s successful efforts to help/care for people in a homeless shelter. While I appreciate much of what the book is trying to do (encouraging students to care and linking care with specific and repeated practices), I ultimately argue that the book presents the reader (aimed at a 3rd grader) with a limited and problematic view of care. I suggest that the students are not encouraged to ask questions or think critically about why the shelter (or homelessness) exists and what kinds of care strategies and practices are most effective. I also suggest that the failure of the story to include the actual residents of the shelter (as characters or even as illustrations) reinforces a very problematic division between the care-giver as subject (student) and the care-receiver as absent object (shelter residents). My main point in this entry: this book offers a insufficient and ineffective definition of care, one that has potentially troubling consequences for readers as they develop their own moral vision of the world and how to treat/exist in the midst of others. defining care: In this entry, I describe Joan Tronto’s definition of care as it is outlined in the fourth chapter of her book, Moral Boundaries. I also highlight her four inter-related yet distinct phases of care: caring about; taking care of; care-giving; care-receiving. I plan to use her definition as the starting point for my description of a feminist ethic of care. Throughout the entry, I ask questions about her phases and her definition of care. One question I ask is this: are trouble staying and curiosity-as-care only about paying attention? Do they offer other forms of care? Are they only valuable because they make us aware of a problem/need for care? horton as troublemaker and troublestayer: In this final entry of the three, I write about how Horton, from Horton Hears a Who is a troublemaker who engages in productive troublemaking/staying not just because he pays attention to the voices on the speck that are crying out for help; he is a troublemaker/stayer because he refuses to ignore those voices, even when he is repeatedly told not to, that he is imagining them, and that he will suffer dire consequences if he continues to listen. The care he gives is focused on connecting his attentiveness to the world with his passion for social justice. In concluding this essay, I attempt to link Horton’s speech to the Sour Kangaroo (the “a person’s a person, no matter how small” speech) with a passage from Michel Foucault’s “The Masked Philosopher.” I really like this entry and I think it does a nice job of exploring the possibility for expanding what we mean by care/caring about and how it connects to trouble, both making it and staying in it. But, wait. 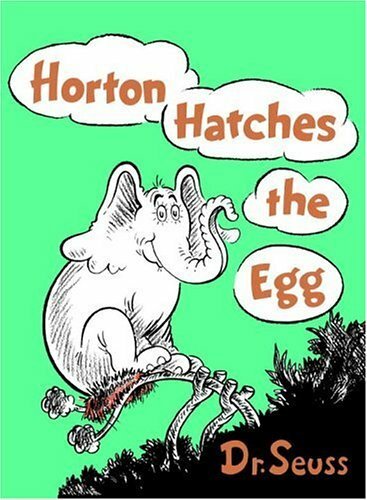 As I am writing this, I realize that I should add one more entry into this mash-up: another feminist response to horton hears a who: why is it always the mother’s fault? In this entry, I discuss how the story (moreso in the recent movie, yet also present in the book) relies on the very problematic trope of the smothering mother: the mother who wishes to continue tradition/the status quo at all costs. The troublemaker (troublestayer) is pitted against the ultimate enemy: the Mother who sees change, curiosity and wonder as threatening. I like the idea of adding this in as well because feminist ethics of care is usually so closely linked with mothering and the mother-as-care-giver. In my own version of trouble-as-care, I am interested (as in J Tronto in her vision) in challenging this entrenched idea and of rethinking what care from a feminist perspective could mean. iPAD note: Because I have had some trouble in the past with the WordPress app, I decided to write this entry the old-school way: on my MacBook. About halfway through I realized that I liked how the app on iPad lets me see more of the entry at once while I am writing. So I switched to the iPad. I wrote the rest of the essay, switching back and forth between the two. Not ideal, I suppose. I will keep experimenting. Hey, have I mentioned that I love my new iPad? If you can’t see it, hear it, or feel it, it doesn’t exist. Our way of life is under attack. And whose leading that attack? HORTON! Are we going to let troublemakers like Horton poison the minds of our children? When Horton tells our children about worlds beyond the jungle he makes them question authority which leads to defiance which leads to ANARCHY! These are the words of the Sour Kangaroo (but only in the movie–they aren’t in the book) as she implores the other animals in the jungle of Nool to help her stop Horton. She condemns him as a troublemaker who is out to destroy their way of life and to poison the minds of their children. But what is it about his actions that causes trouble for her? Why is she so angry and frightened and threatened by him? It is not just that he thinks differently or that he sees and hears things (like tiny worlds on small specks on flowers) that others don’t. It is that he refuses to fall in line and obey the rule of their society (at least according to the Sour Kangaroo): If you can’t see it or hear it or feel it than it doesn’t exist. Horton is condemned as a troublemaker because he makes a choice to disobey what he finds to be wrong (as inaccurate and not properly reflecting his own observations of people on the speck) and unjust. So, the troublemaking part of his action is not only (or even mostly) that he is open to other ways of thinking about the world–ways that are counter to common sense like little worlds or specks that talk, but that he refuses to deny those ways and defiantly claims their value and humanity—a person’s a person, no matter how small. Fundamental to Horton’s troublemaking is a sense of justice and attentiveness to others who he witnesses being treated unfairly and/or that are in need of care. In this sense, he makes trouble by getting into trouble (thinking about the world differently, seeing worlds on specks) and then by staying in trouble (refusing to ignore or deny those specks). No! I can’t give it to you. There are people on this speck. Granted, they’re very small people. But a person’s a person, no matter how small. In this scene, the real trouble for Horton is that he refuses to get himself out of trouble even when doing so puts him in danger of being ostracized or worse by the other animals. He stays in trouble not because he is eager to anger the Kangaroo or because he is bored and wants to make life more interesting (or thrilling) for himself. No, he stays in trouble because the alternative is to ignore the voices of others and to let them perish. To get himself out of trouble Horton would not only have to turn his back on the Whos, but he would have to deny that they ever existed. This denial (that is, the refusal to recognize this other world) would strip the Whos of their humanity/humanness. For, how could they have humanity if they don’t even exist, if they are only figments of Horton’s imagination? What I find interesting about Horton’s troublemaking in this story is how it is inextricably tied to his passion for justice and his openness to other worlds and ways of being/living. This suggests that troublemaking (as in, making trouble for those in power, for the status quo, for rigid rules) can be motivated by something other than rebellion, destruction, or deliquency. Troublemaking is motivated by a sense of moral responsibility towards/for others, by an ethical need to work for more just societies, and by a desire to care (for and about) the world and all of its inhabitants (especially the smallest). Yes, I think that in this film Horton is a great example of a caring troublemaker. We can see this care in a couple of different ways. In one sense, he is giving care to the Whos on the speck–he cares about their world and he takes care to ensure that that world remains safe and viable. But, there is another sense of care happening in this story–a type of care that is not just about the attention and the help that Horton gives to the Whos and their speck of a world. This type of care is not about specific actions but about an approach/attitude to the world; this type of care refers to the quality of one’s character as someone who cares and is curious about the different possibilities of life that our worlds offer. [Curiosity] evokes ‘care’; it evokes the care one takes of what exists and what might exist; a sharpened sense of reality, but one that is never immobilized before it; a readiness to find what surrounds us strange and odd; a certain determination to throw off familiar ways of thought and to look at the same things in a different way; a passion for seizing what is happening now and what is disappearing; a lack of respect for the traditional hierarchies of what is important and fundamental. Kangaroo: That’s absurd. There aren’t people that small! Horton: Well, maybe they aren’t small. Maybe we’re big. Horton: No, really. Think about it. What if there was someone way out there looking down on our world right now? And to them, we’re the specks. Kangaroo: Horton! There is nothing on that speck! Kangaroo: Did you, really? Ohhoho my. Then how come I don’t hear anything? Kangaroo: If you can’t see, hear, or feel something it doesn’t exist. And believing in tiny, imaginary people is just not something we do or tolerate here in the jungle of Nool. Horton: Horton is interested in and attentive to the world around him and open to imagining new possibilities. His sharpened (and heightened) sense of reality enables him to hear the tiny cry coming from a small speck floating by as he is bathing in the stream. Instead of not hearing (or more common, hearing but refusing to listen), Horton listens and responds to the voice that signals the possibility of another world beyond his, a world that seems unimaginable within his world (with its empirical, physical and “natural” laws). He is not threatened or even incredulous at the possibility of a tiny world on a speck; it does not immobilize him. Instead it sparks his curiosity and his imagination about what lies beyond his own observations. Horton: Horton is ready and willing to be open to how our surroundings, such as flowers, trees, specks of dust, may not be what they appear to be. They may be strange and strangers to us (we don’t really know them or what they are). Horton: Once he hears the voice and believes there that there is a small person on the speck, he is committed to never look at flowers and dust (or the world, for that matter) the same way again. He is committed to staying open to the possibility of other worlds (ones that are smaller and bigger than us). Horton: [a stretch perhaps?] Horton is unwilling to let the moment pass and the speck of dust and its inhabitants to perish. When he hears the small voice crying for help, he acts immediately. Foucault: a lack of respect for the traditional hierarchies of what is important and fundamental. Horton: Horton refuses to honor the jungle of Nool rule (at least as created and enforced by the Sour Kangaroo): If it you can’t see, hear, or feel it then it doesn’t exist. He steadfastly stands behind his (empirically unproven) claim that there are people on the speck of dust. Now, this kind of care–the care for remaining open and interested/attentive to the world in its different permutations–is not often recognized as such. Maybe that is because care-as-curiosity is hardly ever about being careful. It is exhausting, dangerous and quite frequently gets us into trouble (and demands that we stay in trouble by being resistant to rigid rules and ready for new possibilities). But, what if we imagined the type of troublemaking and troublestaying that Horton is doing as an ethics of care? Then, could we begin to value (and honor and promote) troublemaking? Another Feminist Reponse to Horton Hears a Who: Why is it always the mother’s fault? A year ago, when the Jim Carrey/Steve Carrell version of Horton Hears a Who came out, feminists responded (see here and here and here) to what they saw as the blatant sexism within the movie’s over-emphasis on the single son as the hero and the 96 daughters as invisible. Why couldn’t one of the daughters save the day? Why does the mayor care more about his one son than his daughters? Why would the filmmakers add this sexist storyline? I agree with this assessment of the film and do find the emphasis on the son at the expense of the daughters to be disappointing. Typical, but disappointing nonetheless. However, when I first watched the movie at the Riverview Theater in South Minneapolis with my kids (and again today on dvd), what angered me was not this reinforcement of the male-as-the-only-hero-that-matters. No, what angered me was how the movie perpetuated the classic take on who was to blame for all of the conflict and crisis: the smothering mother. Why does the Mayor’s son need to save the day? Because the kangaroo mother is afraid of change in the jungle of Nool. She is afraid of things that she cannot see or hear. She is afraid that all of Horton’s “troublemaking” (yes, she uses that word in the film) will lead to questioning authority and eventually anarchy. While other animals may help her realize her plans, it is her fear alone and her disdain for that which challenges her simple worldview that leads to the crisis in the first place. She will stop at nothing to make sure that Horton doesn’t corrupt the children of Nool. She is so concerned with the corruption of her own son that she “pouch schools” him. And, she manages to stir up the other parents into a frenzy over the supposed threat that Horton and his “free thinking” pose. Unlike the storyline about the son and the 96 sisters, the idea of the fearful kangaroo was present in the original version. But what is different in the earlier version is that the kangaroo was not alone in her fear or her disdain of Horton. Her son was a willing participant in the mocking and criticizing of Horton. In fact, he helped to instigate it. He was not trapped in her pouch, smothered by her “love” and her need to protect. So, why did they add this smothering mother theme? What could it possibly add to the story? Horton Hears a Who was originally written in the 1950s and, according to this wikipedia entry, was inspired by Dr. Seuss’ desire for the U.S. (in their occupation of Japan post WWII) to treat the Japanese better. The book serves as an allegory and, as such, has a political message: Every person counts. Even the Japanese. The 2008 version seems to have its own political message. With its rhetoric of change good/staying the same bad and its villifying of traditionalists (and the Bush Administration) as home-schoolin’, fear mongering, anti-thinking conservatives, Horton Hears a Who is a liberal response to what is understood to be a radical shift towards conservative, fundamentalist beliefs. The message seems to be less that every person counts (because a person’s a person no matter how small) and more that close minded conservatives who see change as undermining important traditions and values are crazy freaks who are willing to kill an entire world (the cute little whos in whoville by boiling it in oil) just to protect their own. The film seems to be saying (or screaming or bashing its audience over their heads) with the message: They must be stopped! Free thinking, imagination, questioning authority must win out! Hey, that sounds like what I am trying to promote in my own vision of troublemaking as a critical and questioning approach to the world and our understandings of it. I am all for promoting imagination and encouraging people to move beyond their limited perspectives (and their belief that anything that they don’t see or that they ignore doesn’t exist). So, what’s my problem? My problem is that the person standing in the way of all of this great thinking and imagining and saving little worlds is an overbearing, smothering mother. That’s right. Once again, the mother is to blame. Not the government. The city council of Whoville only makes a brief appearance as a bunch of idiot jerks who are more interested in ensuring that the annual Whoville celebration occurs than protecting the interests of its citzens. Not the evil vulture Vlad. He is tricked by the Kangaroo into stealing the flower that houses the Whos and Whoville. Not the other animals in the jungle. They like Horton, but the Kangaroo bullies them into being afraid of his non-conformist behavior and approach to life. Nope. It is the evil, nagging, overbearing, ignorant, close-minded, fear mongering Kangaroo that is to blame (Do I sound a little harsh here? She is such a caricature of the smothering mother role that I am not sure that she has any endearing qualities). This movie vilifies mothers. This isn’t something new. It happens all of the time in movies (in many kid’s movies mothers are not present–usually dead–or they are clueless or they are the problem). But, when I am sitting in the theater with my two kids watching Horton Hears a Who, I get very angry at being reminded of how I, as a mother, am represented in movies. What images and damaging stereotypes are my kid’s wittingly and unwittingly absorbing as they watch the mean kangaroo try to destory Horton and Whoville? She is the ultimate bad guy (don’t get me started on how they oversimplify the good guys/bad guys and good vs. evil in these films). As I mentioned at the beginning of this entry, feminists have been quite critical of how the girls (the mayor’s 96 daughters) are ignored in favor of the boy (the son). By ignoring the girls and not allowing one (or all) of them to save the day, the movie reinforces the idea that boys are still the heros and reminds kids, as they are watching the film, that “boys rule, girls drool” (sorry, my son likes to chant that. Of course my daughter flips it so that “girls rule, boys drool”). In some ways, this part of the story is an easy (and obvious) target for criticism. But, if we focus all of our attention on this example of sexism (which seems to be indefensible for many these days), we fail to see some of the deeper, darker and more insidious forms of sexism and mysogyny that this film taps into and reinforces. Why is it still okay to blame the mother for our problems? For our own inability to embrace change? For our desire to not think critically? Why aren’t we all responsible for this ignorance and our hateful responses to a fear of change, the unknown, or different ways of living? When will we ever grow up? 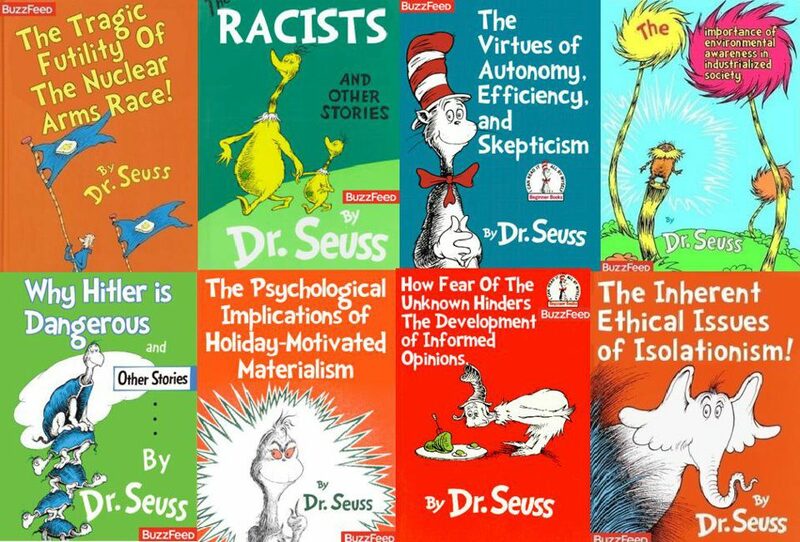 Posted on May 28, 2009 January 31, 2012 Categories EngagingTags Dr. Seuss, Horton Hears a Who, kids' movies, mother-hating, sexism9 Comments on Another Feminist Reponse to Horton Hears a Who: Why is it always the mother’s fault?